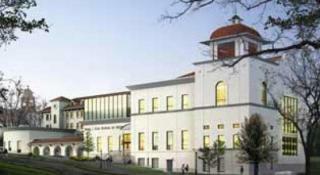 This building houses Montclair State University's music program. It was converted from an old dorm building in 2010. It was designed with LEED criteria in mind, but has not yet received certification.